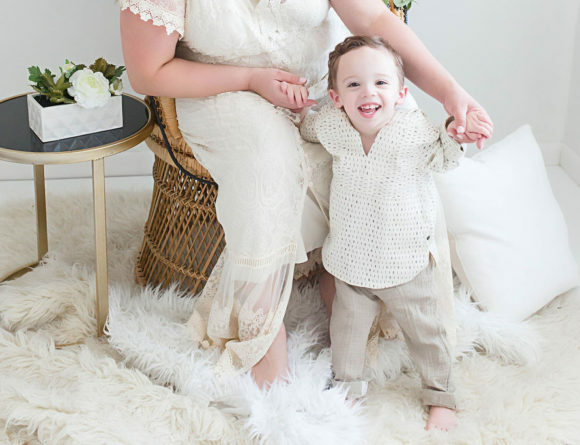 There are many times in my life where I’ve felt super anxious: the day of my wedding, the day of my c-section surgery and the day we traveled with Nicolás Enrique for the first time on a plane. It was a relatively short two and a half hour flight to Miami but a lot can happen in those hours. Luckily, Nicolás Enrique was a trooper and fell deeply asleep on those flights. I don’t know if the same thing would happen today though! He’s changed so much since then (he was 9 months) and is a lot more active and wants to interact more at his 11 months. 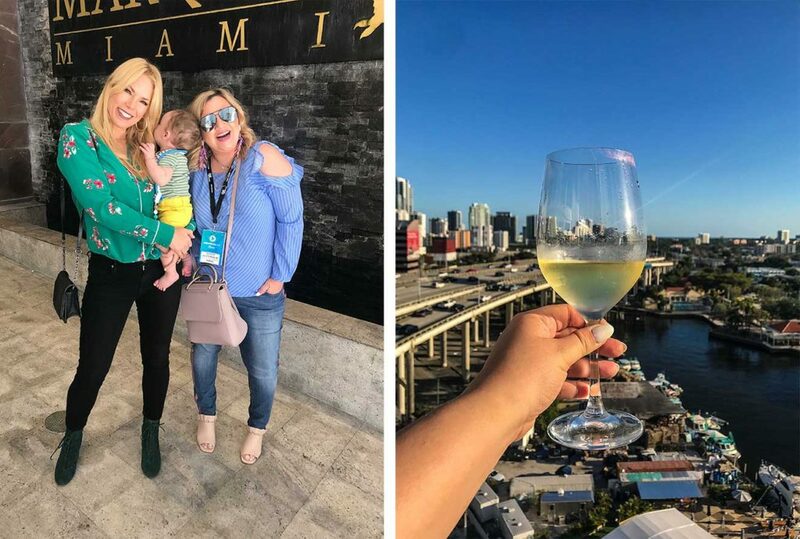 I wanted to share photos from our trip to Miami where we had so much fun and were so overwhelmed with how different it is traveling with a baby! 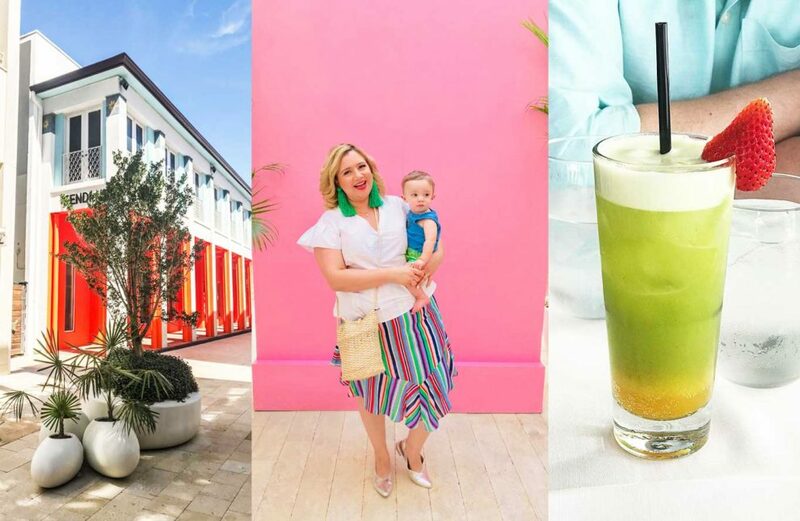 Originally, I had also included the baby travel essentials in this post but I had to break it up because it was way too long! At Miami’s Design District and enjoying coffee at OTL below. 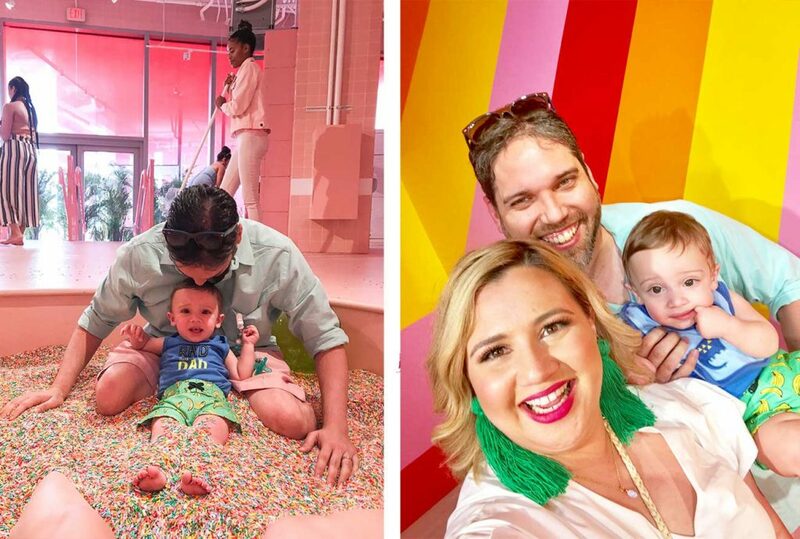 Visiting the Museum of Ice Cream and clearly someone hated the sprinkle pool! Hahahah! At a blogger event at Little River Studios with my friend Pili (pictured below). 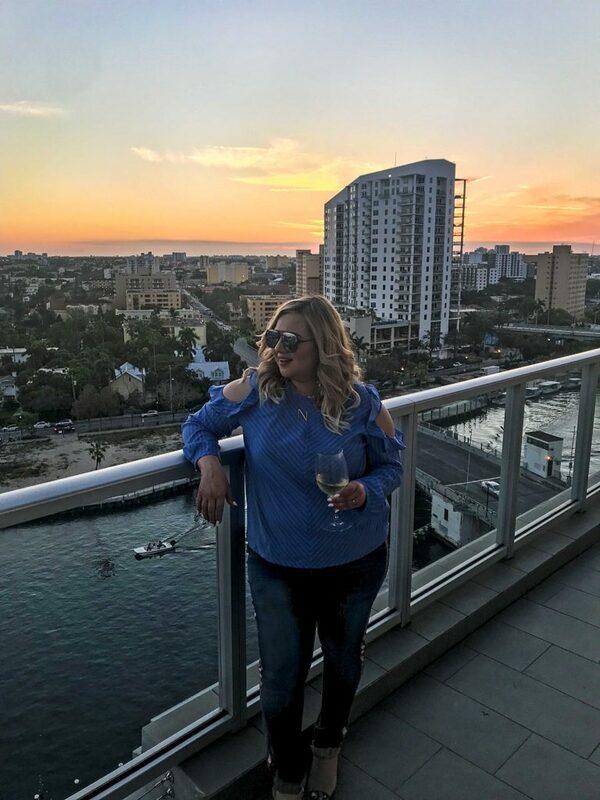 Enjoying some hang time in Hispanicze with her and at the Walmart dinner with a nice glass of vino! At the TECLA Awards, before they called out my name in the nominations, my hubby brought me flowers. 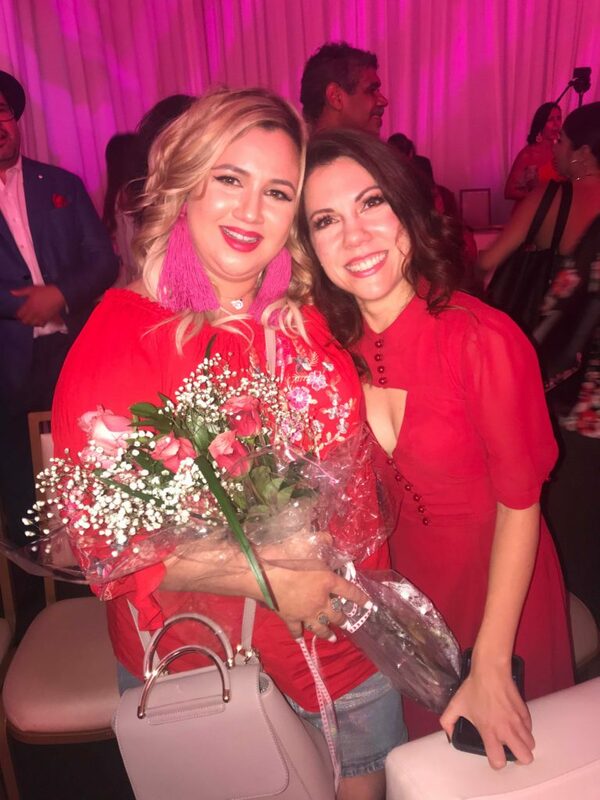 Even though I didn’t win I met one of my comedy idols, Jenny Lorenzo, aka “Abuela,” and I felt like a winner. Not a bad night! 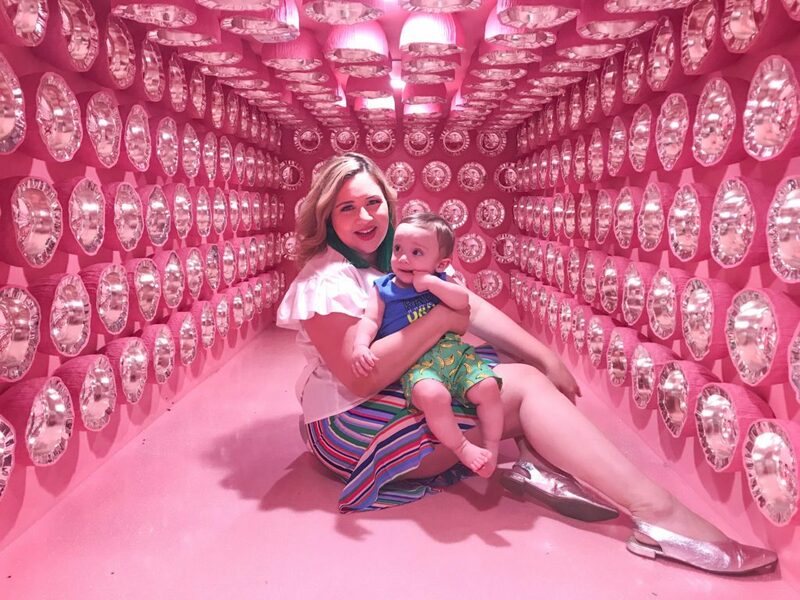 Museum of Ice Cream Miami – I was dying to come here and even my hubby enjoyed it. This place is all about the gram! Yuca (Cuban restaurant)-Order the mojito, yuca frita, vaca frita…well, we’ve kind of tried everything and it’s delicious! End it with a cortado Cubano (a Cuban Espresso). C.viche 305 – Best Peruvian ceviche in town! This is a mandatory stop in Miami because we love all their ceviches. 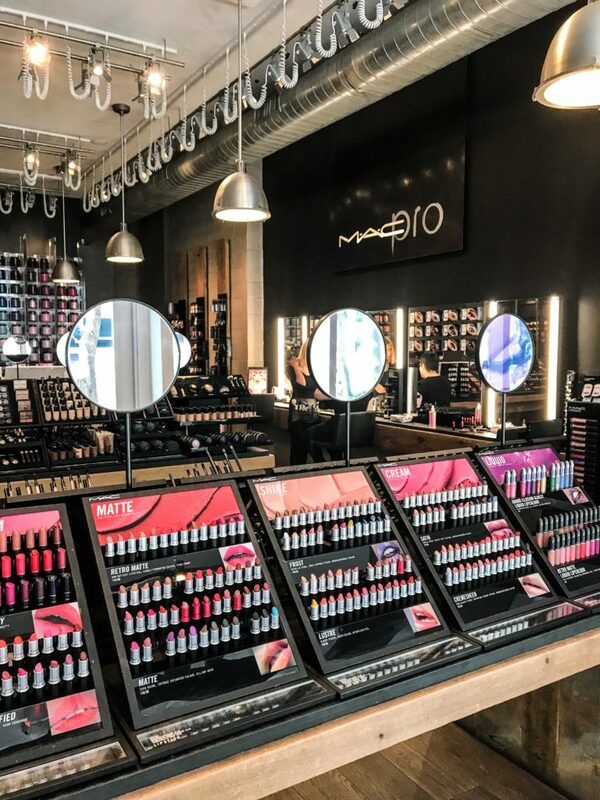 MAC Cosmetics on Lincoln Road – Endless and varying walls filled with color plus their make-up application services rock! 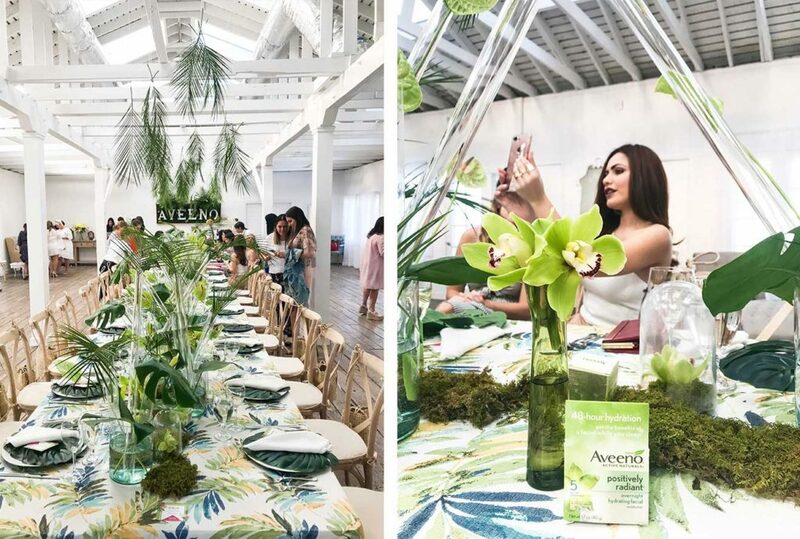 Little River Studios – I went to a beautiful Aveeno Blogger Event at this picture perfect spot. 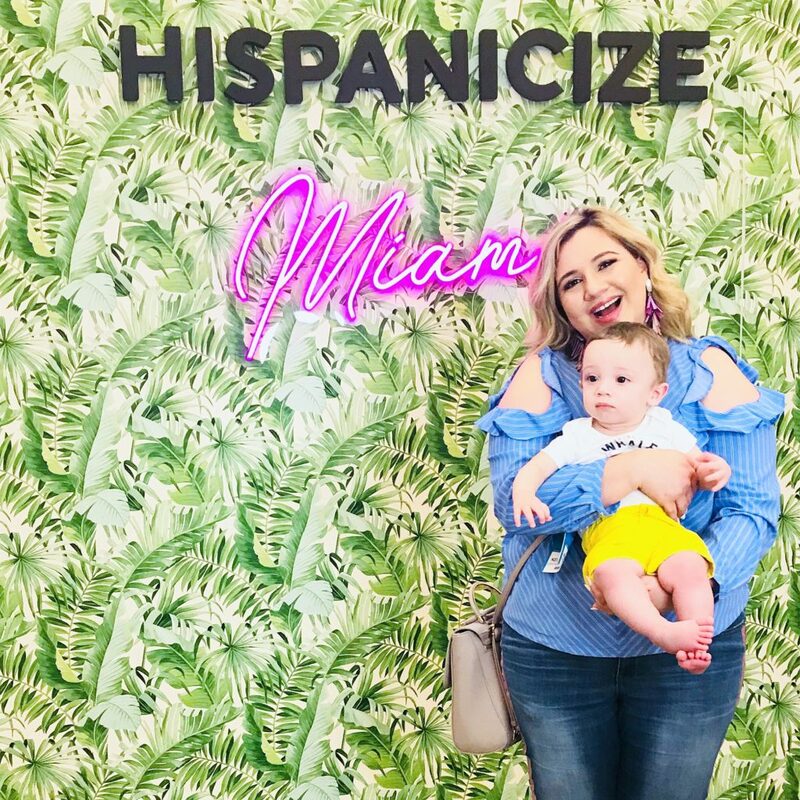 Hispanicize – TECLA Awards – I’ve written about Hispanicize on my blog before and this time I was nominated for their award ceremony for blogging which I didn’t win but it was still an awesome experience. 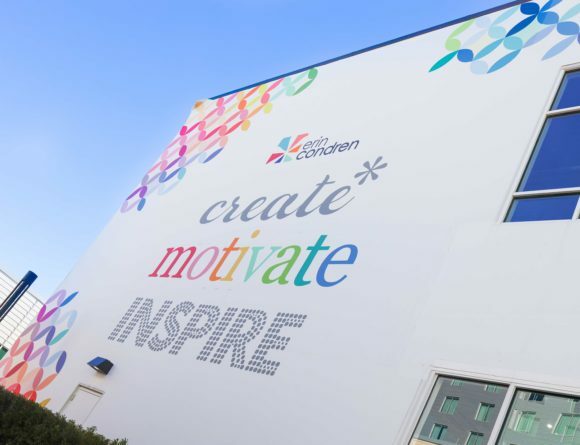 Miami Design District – Hit up the OTL coffee shop. 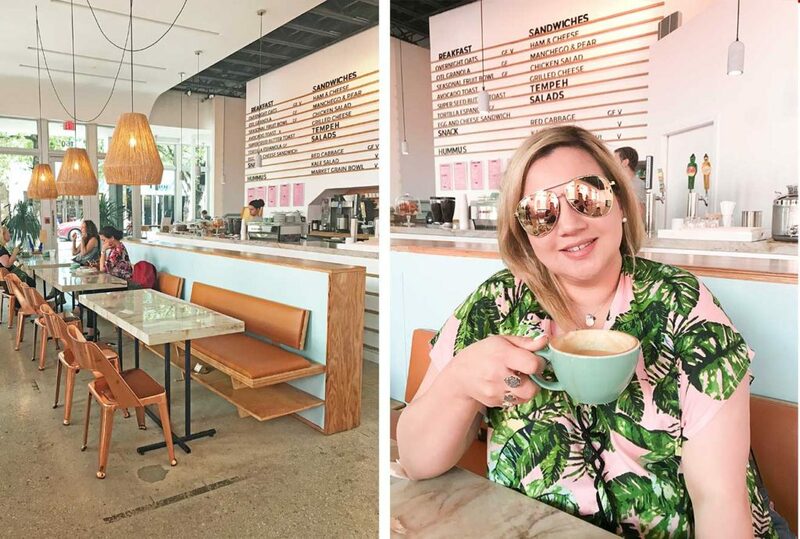 A totally Instagrammable coffee shop with yummy avocado toast in the Design District. Walmart Dinner at The Penthouse at Riverside Wharf. 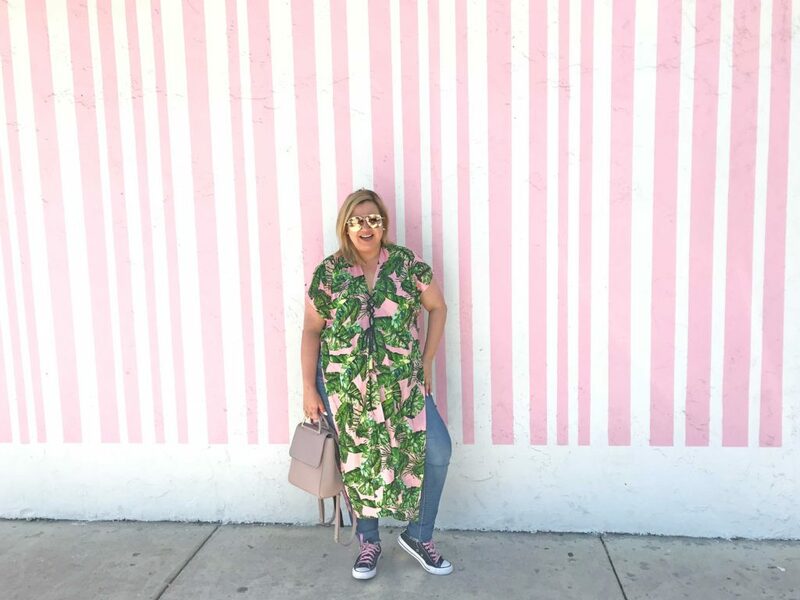 Paseo Catracho – I went to this yummy Honduran restaurant with fellow Honduran & vlogger @LaCooquette. We ate baleadas, pupusas and had Barena beer. It was one of the best meals I’ve had this year and it tasted like home! A view from the Penthouse at Riverside Wharf for the Walmart dinner. 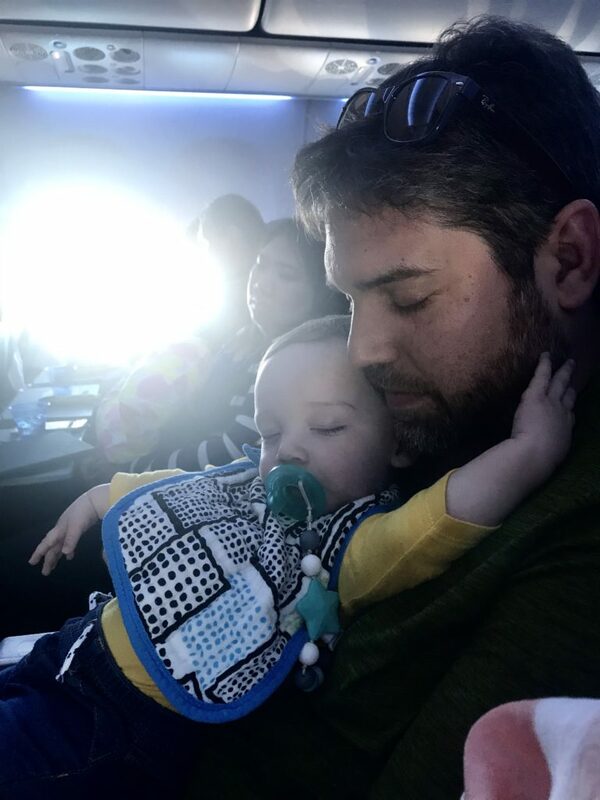 We were lucky that Nicolás slept the whole time on both flights! 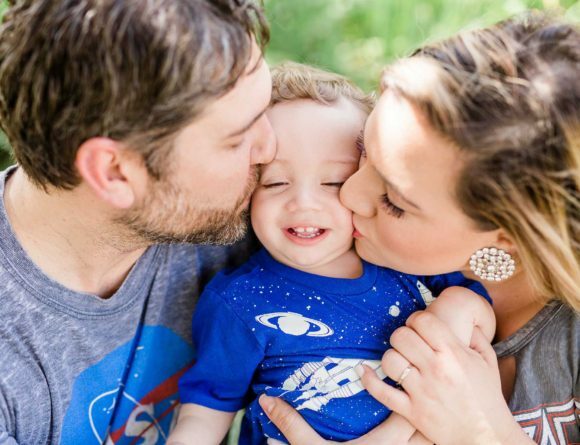 Tip: It helped to give him his bottle right before the plane was in the air.